anyone with a rubbermaid coop? Discussion in 'Coop & Run - Design, Construction, & Maintenance' started by werecatrising, Aug 9, 2009. I tried to do a search and find coops made from rubbermaid sheds- no luck, though. I'd love to see pictures if anyone has one. Didn't know they made one...would love to see it if someone comes up with it. I think its been done before.But i have to ask, Wouldn't they get hot? Mine is something similiar to that?! It's plastic. 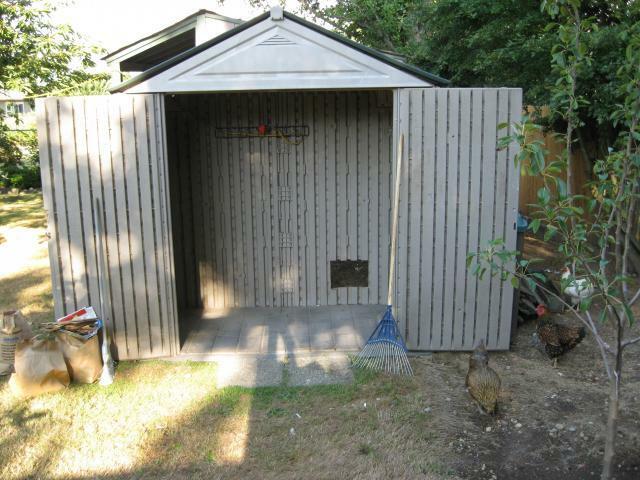 And a yard Shed. It has one window which my husband replaced with hardware cloth. 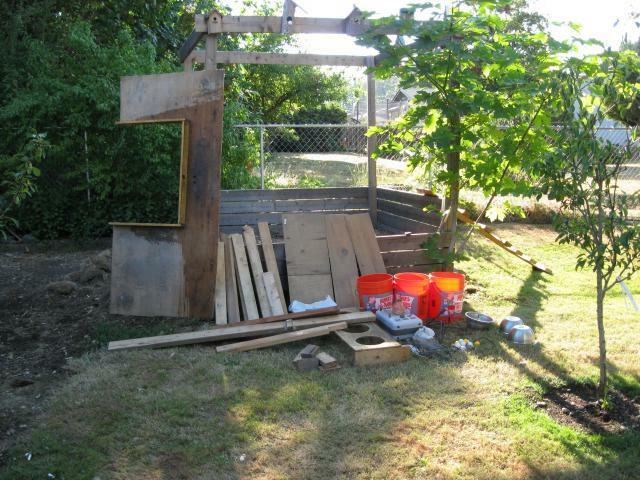 And he also build a solid lockable wooden window Cover that is proped open during summer. The sunroof is plastic and solid. It gives the coop a lot of natural light. It has 4 sets of double doors. I can open 3 sets during the day to keep it ventilated. I only have a couple of hens, and so I partitioned the coop in half using zipties and chicken wire to the ceiling. I also used to old formica to make a half wall....so that the bedding wouldn't flow thru the chicken wire and out of the coop area. I was able to prop a roost stick, wedged really, between two walls. Being that it's all plastic, when I strip and clean the walls once a month, it's super easy to clean up. At first I thought my husband was a fool when he suggested we use the plastic shed....now I think he's brilliant. lol. If you'd like photos, I could get some. 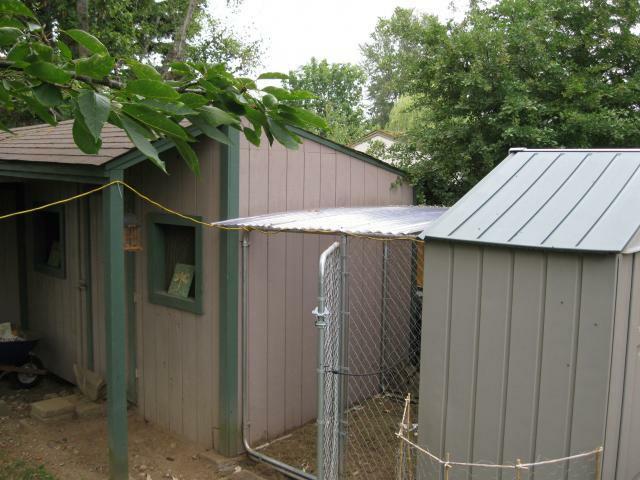 I use a rubbermaid shed as a coop. I was in a hurry and thought it would be a quick temporary solution. Liked it so much kept it for 6 years. Perfectly dry inside. I built the insides to come completely out. Only need a broom to clean. I hear thoughts that it would get too hot. I don't know why it would get hotter than any other, but that's not even an issue for me, as I live in the Seattle area and the yard is very shady. Have had no problem in the winter or the recent 103* temps. My coop is not Rubbermaid but Royal Outdoor and it is fabulous! It is still going strong after five and half years. The ONLY regret I had with this shed, I should have bought a 10 x 8 shed instead of the 4 x 7 shed. 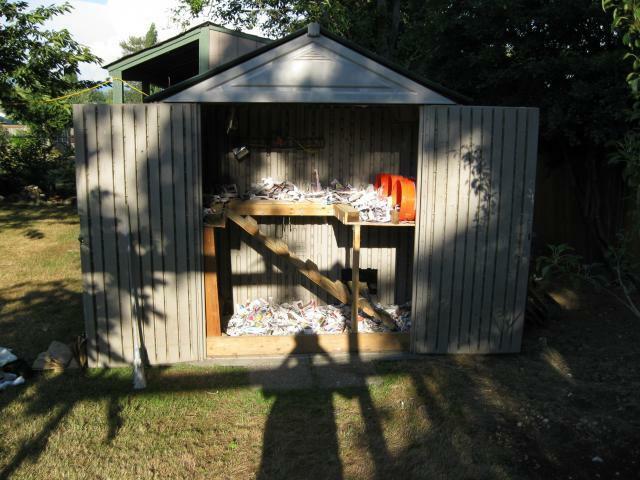 Once I get the bigger shed, I will use this small shed for brooding chicks or isolation. Thanks for the pictures! I found a good deal on a shed- just can't find a way to get it here. I have the remains of a plastic building that I may reconstruct and try out. I say remains since we moved it from one house to another, which I think loosened all the joints up, and one day I came home and the wind had caught it and scattered parts of it 50 yards into the field beside our house. I've had it stacked in a pile ever since wondering what I would do with it. I think I know now. Good luck!